It’s not just that the move makes ISIS and Iran and Hezbollah happy. It means the United States has no moral basis to object to dictators seizing land by war. Nice day’s work, Don. In what is almost certainly the low point of his administration’s foreign policy performance thus far, President Donald Trump announced today that the United States recognizes Jerusalem as the capital of Israel and will begin the process of moving the embassy from Tel Aviv. This is almost certainly a mortal blow to any peace plan Jared Kushner and his team have been working on for the past 10 months, and, in all likelihood, a massive setback in efforts to develop fledgling new relationships between Israel and Gulf Arab countries like Saudi Arabia and the United Arab Emirates. Palestinians, in particular, will be outraged, and for good reason. This is a colossal betrayal by the guarantor of the peace process, the Oslo agreements and all of the understandings and treaties that have been entered into since 1993. All of them, without exception, hold that the future of Jerusalem is a final status issue to be negotiated between Israel and the Palestinians. The United States has just removed, in effect, that issue, even though Trump insists it has not. Unless he somehow clarifies that he was really referring only to West Jerusalem and not occupied East Jerusalem, and the administration makes it clear that it has not prejudiced the future of occupied East Jerusalem, which it sure sounds like it has, then it has totally betrayed all assurances Palestinians have been operating under since 1993. Moreover, for the past decade Palestinians have been lectured ad nauseam by Israel and United States about not taking “unilateral measures” at the UN, just by upgrading their status in the international community and building their diplomatic relations and presence as Israel continuously does. This was held to be a violation of the agreements. Yet somehow, this infinitely more severe end-run around one of the most basic and essential premises of the Oslo framework, by its guarantor no less, is okay. That’s never going to wash.
Official Palestinian responses over time will depend a great deal on the reaction of Arab states, particularly Saudi Arabia, the UAE, Egypt, and Jordan. But all those countries strongly warned the Trump administration against taking this step, and Trump really gave not just the Palestinians but even the Gulf Arab countries little mitigation upon which they could really rationalize moving forward with an “outside-in” engagement with Israel based on concurrent measures designed to build confidence. Any of that has become an even greater longshot than it already was. Meanwhile, every bad actor and extremist in the region is certainly celebrating. Any remnants of ISIS hanging on in eastern Syria were smiling into their battered smart phones. Al Qaeda must be delighted. But, above all, Trump’s supposedly main regional targets, Iran and Hezbollah, will be cracking open case after case of sparkling apple juice, or whatever it is they substitute for champagne. This is the gift that will keep on giving for terrorists and extremists of every stripe. Neither the president nor his administration even tried to make the case for why to do this now. What he said was, in effect, “We must do something different. This is different. Therefore, we must do this.” This is a logical fallacy known as a syllogism, and every well-trained high school student will cringe. Yet, despite the incredible damage done to U.S. standing and goals in the Middle East—almost certainly undertaken to secure Trump’s support among his evangelical and Jewish-American supporters as Robert Mueller’s investigation inches closer to the Oval Office—the worst damage is to an essential principle of international law. Since the adoption of the UN charter following the Second World War, the inadmissibility of the acquisition of territory by war has been held inviolable. Every UN Security Council resolution since 1967 invalidating Israel’s annexation of East Jerusalem and calling for an end to its occupation—every one of them supported by the United States—begins with a reassertion of the inadmissibility of the acquisition of territory by war. By saying, simply, that the United States now recognizes Jerusalem, without qualification, apparently including occupied East Jerusalem, as the capital of Israel, Trump has tossed this principle into the dustbin. On what basis will we object to Vladimir Putin’s actions in Ukraine? On what basis did we expel Saddam Hussein from Kuwait? On what basis will Washington or its allies object to any future act of aggression, occupation, and annexation? Any reliance on the UN Charter and the basic principles of international law won’t work after this fiasco, because any international aggressor and miscreant will simply throw this in our faces and we won’t have any answer whatsoever. Trump’s assertion that he is not prejudicing a final status issue seems absurd in light of the text of his remarks. 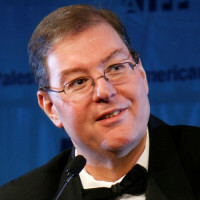 Unless the administration promptly clarifies that the declaration applies only to West, and not occupied East, Jerusalem, the damage will be very difficult to undo, not just in the Middle East, but in the whole world, and, indeed, to one of the most essential and fundamental principles of the postwar international order. Hussein Ibish is a senior resident scholar at the Arab Gulf States Institute in Washington (AGSIW).